Climate Common Sense: Global Warming Belief Drops with Aussies! Global Warming Belief Drops with Aussies! The latest Gallup poll on Global Warming attitudes in Australia has shown a marked drop from 52% to 44% in those believing it is man-made. The percentage of Australians who are aware of climate change and say it results from human activities fell from 52% in June 2008 to 44% in March 2010, while the number attributing it to natural causes increased 10 percentage points. Such a shift is particularly noteworthy among a population that follows the global warming debate closely. Awareness of climate change in Australia remains among the highest measured in the world -- 97% say they know "a great deal" (24%) or "something" (73%) about the issue. Therefore, the "climategate" controversy that surfaced in late 2009 may partly explain some of the shifts in Australians' attitudes on primary causes. Published e-mails from University of East Anglia's Climatic Research Unit (CRU) -- one of the world's leading climate study institutions -- called CRU's research into question. 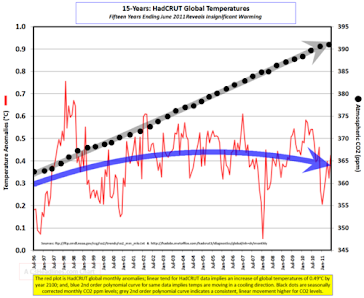 The accusation that CRU was manipulating the data to inflate the case for human-caused climate change has since been refuted. Global warming also lost traction as a perceived direct threat to Australians. Twenty-two percent of Australians currently describe its threat to themselves and their families as "very serious," down from 31% in 2008. Although fewer Australians perceive it as a serious threat, the majority (69%) continue to believe that climate change poses a very or "somewhat serious" personal threat. The United Nations Climate Change Conference in Copenhagen, Denmark, in December 2009 -- which produced weaker outcomes than many expected -- and the Australian government's delayed action on climate policy, may have sent a signal to some Australians that global warming is not as serious as they previously believed. In addition to the economy, healthcare, and immigration, climate change will be a key topic in the Aug. 21 national general election that pits new Prime Minister Julia Gillard's Labor party against opposition leader Tony Abbott's Liberal-National coalition. Both parties have pledged to reduce emissions by at least 5% by 2020, but via different approaches. With such attentiveness to climate change issues, Australians will be monitoring each candidate closely. This poll shows the innate common sense of the Australian public considering that they have been bombarded with propaganda about Global Warming with the worst coming from the ABC, the national broadcaster. It also explains the reticence of the Labor party to embrace sweeping climate poliocies prior to the election. The Great Carbon Caper- Part 2! Brad Pitt - Death Penalty for BP Oil Leaks ? Catastrophists say World Vegetation Declining. Green Persecution - One Man's Story! Fake Julia Fakes it at Campaign Launch! BBC - We're Buggered Whatever Happens! 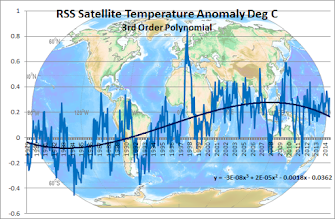 Alarmist Mathematics Do Not Add Up! Climate Skeptic Party Windfarm Election Ad. Stop Global warming - Eat Bugs! Will The Real Fake Julia Please Stand Up! And Now it Gets Dirty!